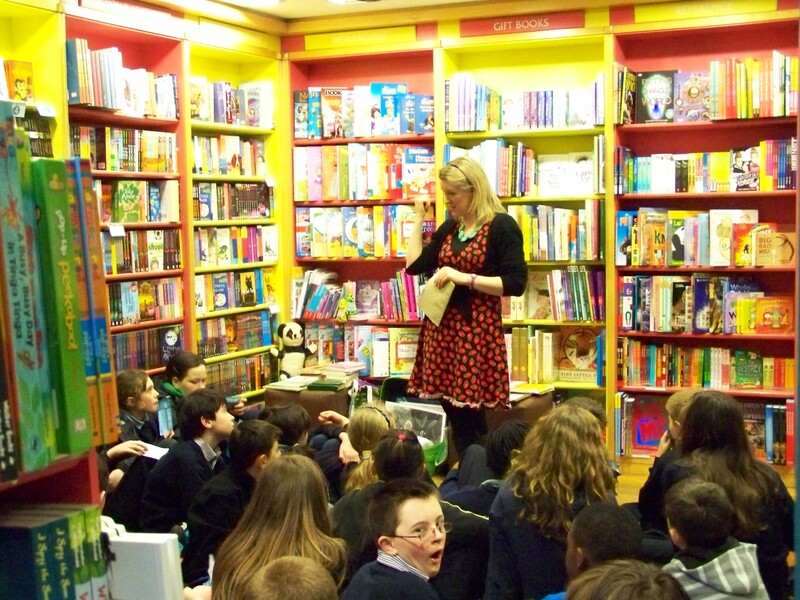 Dubray Books, Galway is hosting an event featuring The Speks! That's right, those bespeckled and musical gentlemen from Glasses Island are coming to Galway on Saturday May the 14th at 3:00 pm for half an hour of musical mayhem and joy... and we couldn't be more delighted. This is a can't miss event, so please mark it down in your diaries now. Of course, I'll 'remind' you with all the details a few times before the event, so please forgive my excitement! Just remember to be there! The Astrid Lindgren Prize was set up by the Swedish Government in 2002 to honour the work of authors, illustrators and story-tellers who work in 'the spirit of Lindgren' (author of Pippi Longstocking, The Brothers Lionheart', 'Ronia the Robber's Daughter' and many other marvellous children's books.) 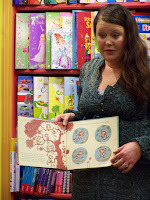 Previous winners include Maurice sendak and Philip Pullman. Shaun Tan's lyrical illustrations tell the stories in terms of contemporary fables, tackling some difficult issues and still evoking a beauty and humanity that make them accessible to children and adults alike. Emerald Atlas Is On It's Way! Here's a trailer for the soon to be published Emerald Atlas by John Stephens. I was sent a proof copy, and I have to say it's one of the best books I've read this year. It certainly is already generating a lot of excitement, with good reason. This is the official obituary from the Guardian, Sunday 27th March for Diana Wynne Jones. It's content is comprehensive and it's such a beautiful tribute to one of my favourite authors. She had such a huge impact on children's literature, I simply had to include it. It has just been reported that the brilliant author, Diana Wynne Jones, has lost her two year long battle with lung cancer. Last summer, she had stopped her chemo-therapy, saying it made her too ill to continue working. Wynne Jones is the author of many wonderful fantasy adventures for children, including the completely wonderful 'Howl's Moving Castle'. Her books were an inspiration to many contemporary writers, and a drive compelling readers, young and old. While reports are sketchy at the moment, Wynne Jones is said to have passed away early Saturday morning (26 March 2011) at the age of 76. She will be truly missed, but leaves an incredible legacy. 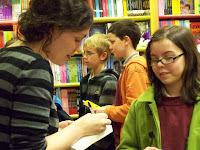 27/03/2011 Just to post an edit here.... this from Diana Wynne Jones' official website. The reports are all sadly true, Diana Wynne Jones has passed away on 26th March 2011. In addition to her already prolific and wonderful writings, two more books will be published this year; one another brilliant children's book, and the other a collection of her articles and writings. Please see the link below for further details. Follow the link and discover how you... parents, students and the schools themselves can participate in the Reading Revolution! For all the fans of Eragon, Christopher Paolini's final book in the Inheritance cycle will be published this autumn. The fourth book, to be called Inheritance, will be published by Random House Children's Books on 8th November 2011 worldwide. Paolini has promised, without giving away any of the plot, that all will be revealed. The first three books are due to be reissued in paperback on 7th July with new cover designs. The Return of 'Chitty Chitty Bang Bang'! That children's contemporary classic 'Chitty Chitty Bang Bang' (penned by the great Ian Fleming) is set to fly again in a new trilogy by Frank Cottrell Boyce. The Millions author is bringing back the marvellous flying car alongside a contemporary family who are descendants of the original family in Flemings story. Macmillan will publish the first in the trilogy, titled 'Chitty Flies Again', in November 2011. Booktrust has announced it's choice for the Best New Illustrators Awards for 2011. The list of ten is impressive, indeed, and includes our own Chris Haughton ('A Bit Lost') and Kevin Waldron ('Tiny Little Fly' and 'The Owl and the Pussycat'). 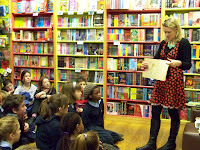 The awards were presented in a ceremony in London on 22nd March, and were presented by children's author/illustrator extraordinaire Lauren Child of Charlie and Lola fame (among many, many others). The judging panel was comprised of Child, Anthony Browne (the current UK children's laureate), author/illustrator Ken Wilson-Max, Antonia Byatt (director of literature strategy at the Arts Council England) and founder of the Illustration Cupboard John Huddy. 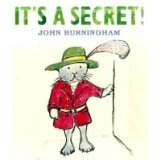 The Guardian's children's books blog has published a wonderful presentation of thirteen works from John Burningham's brilliant career. Beginning in 1963 with the Kate Greenaway medal winning Borka, the story of a goose with no feathers and following his long and brilliant career right the way through, this slide show gives a truly unique view of Burningham's life in pictures. His recent 'It's A Secret' is a personal favourite of mine, as he successfully answers my questions as to what those cats get up to at night. 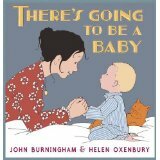 Burningham will be at the CBI Conference in May (along with Helen Oxenbury, his wife and recent collaborator on 'There's Going To Be A Baby'). This promises to be a 'do-not-miss' event. I found this poll on the Guardian's new online blog. It addresses on of the more interesting question in children's and teens fiction. Should (children's) books reflect real life, or is a good dose of fantasy what the kids really want? My personal choice always leaned more towards the fantasy end of the spectrum... and still does. And while I admit to the desire for some real life from time to time, I still want to escape into the improbable, the unlikely and the fantastic most of the time. I live in the real world every day, after all. Escape is the operative word for me. As it turns out, I'm not alone in this. Of all of those who participated in the poll, 31.3% said they preferred to read books they felt were relevant to their own lives, while 68.8% read to escape reality. Interesting..... what do you think? I was reminded of this book while cruising on my facebook page and finding a mention by the wonderful Cathy Cassidy (thank you, Cathy). It tells the story of Sadako, a young Japanese girl diagnosed with atomic bomb illness (leukemia). 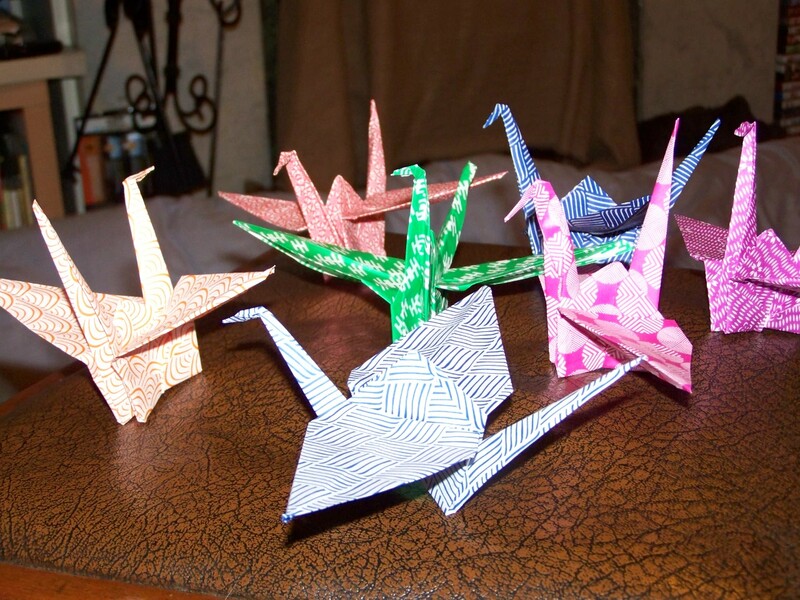 She turns to her Japanese belief system, and begins to create a thousand paper cranes (using origami paper folding art); each one a paper that she will get better. Sadly, this is not the case. Truly beautiful, and based on a true story, this is a books that will stay with you. It was one of my favourites as a child. In light of recent events in Japan, Sadako and the Thousand Paper Cranes has a particular poignancy at this time. My seven paper cranes... more are on the way! 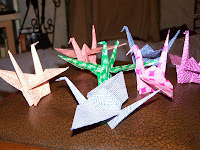 I'm also going to share a facebook link with you, '1000 Paper Cranes for Japan'. I encourage any of you on facebook out there to check this out. This beautiful and simple gesture is given as a prayer for the people of Japan. Perhaps you would like to join us and make your own paper cranes for Japan? 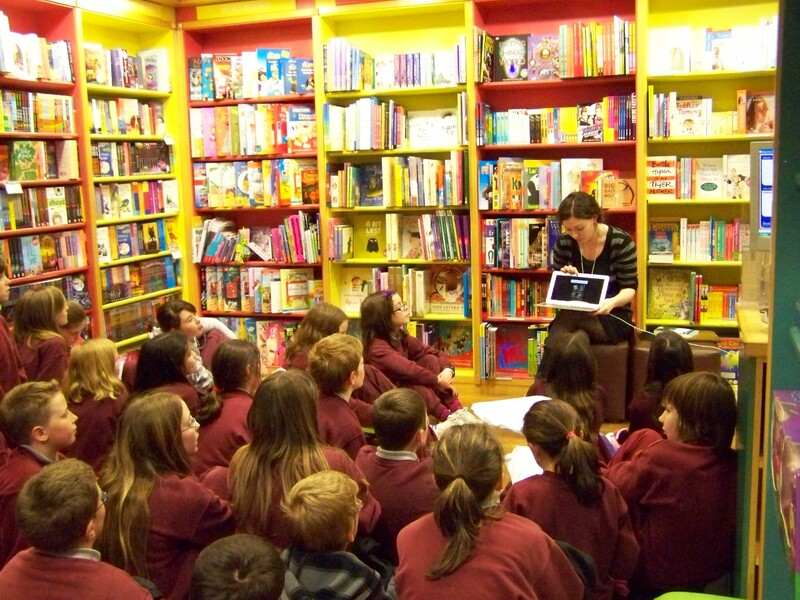 This year's Children's Books Ireland Conference will be held the 21st/22nd of May. 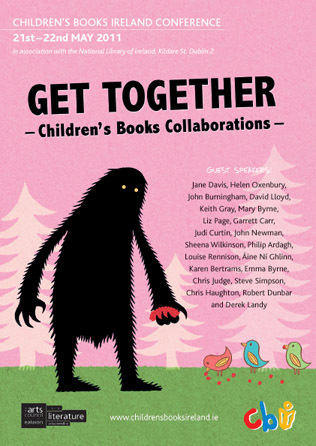 The theme will be 'Get Together: Children's Books Collaborations.' The line up of guest speakers is phenomenal: Helen Oxenbury and John Burningham, Philip Ardagh, Louise Rennison, Chris Haughton, Garrett Carr, Derek Landy..... This is promising to be the most memorable, yet; and a fantastic weekend for anyone and everyone who loves children's literature. And it's not too late to register. Come for a day or the whole weekend! See you there. Just a quick reminder.... the March/April edition of My Kids Time is up right now! 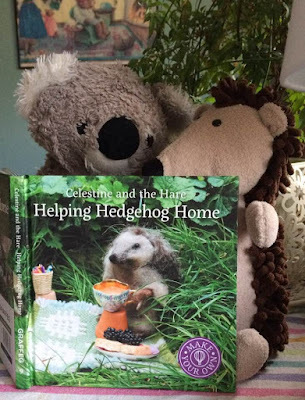 This month, Patsy is letting us all know how to get the most from a book, Holly Webb is the featured author, there's a review of 'Crunch, Munch, Dinosaur Lunch from yours truly and the listing of news and events for children is truly exciting. So, if you haven't signed up to receive this wonderful resource, do so now. You don't want to miss out! Here's the link for the Galway site, but you can access sites for other regions of the country through this link as well. I'm taking just a second to alert everyone (who doesn't know already) that Patrick Ness has been shortlisted for the prestigious Arthur C. Clarke award. This is, of course, for his wonderful Monsters of Men; the third in his brilliant Chaos Walking trilogy. And, Patrick is only the 2nd young adult author to ever receive the nomination. 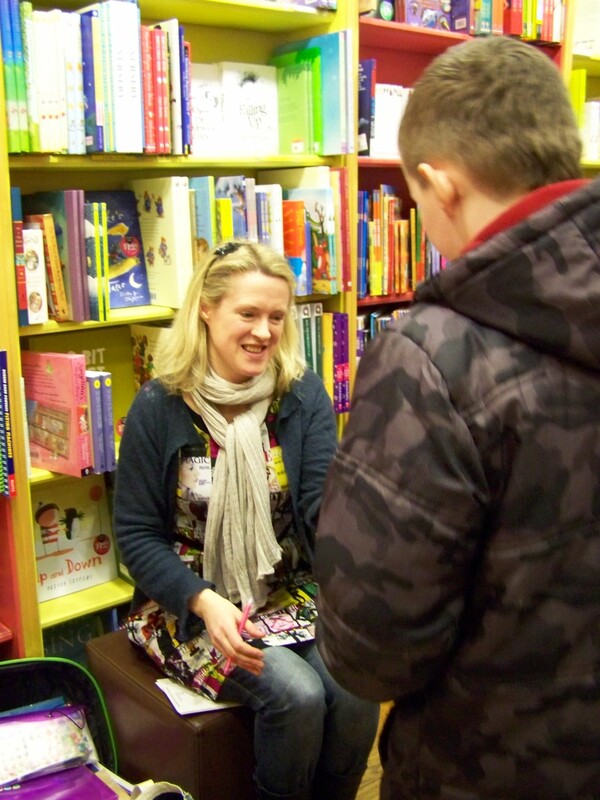 After the marvellous madness of the World Book Day extravaganza, today we were very privileged (at Dubray Books, Galway) to share in the fun of Seachtain na Gaeilge! 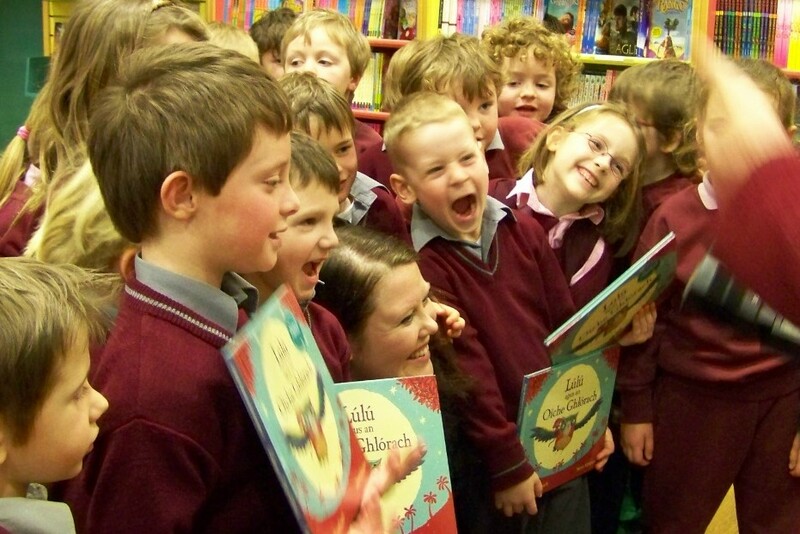 Bridget Bhreathnach launched her new children's book as gaeilge Lulu agus an Oiche Ghlorach in the shop this morning at 10.30am, accompanied by the children of Scoil Iognaid's senior infants class. 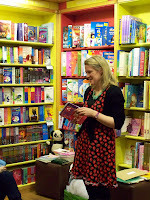 She read to a captivated audience (all of whom have Irish that is far better than mine, I'm pleased to say) and raffled off a copy of Lulu.... to one lucky winner. It was loud and busy, it was exciting, it was brilliant... it was all in Irish! Bisto Awards 2011 Shortlist Announced! 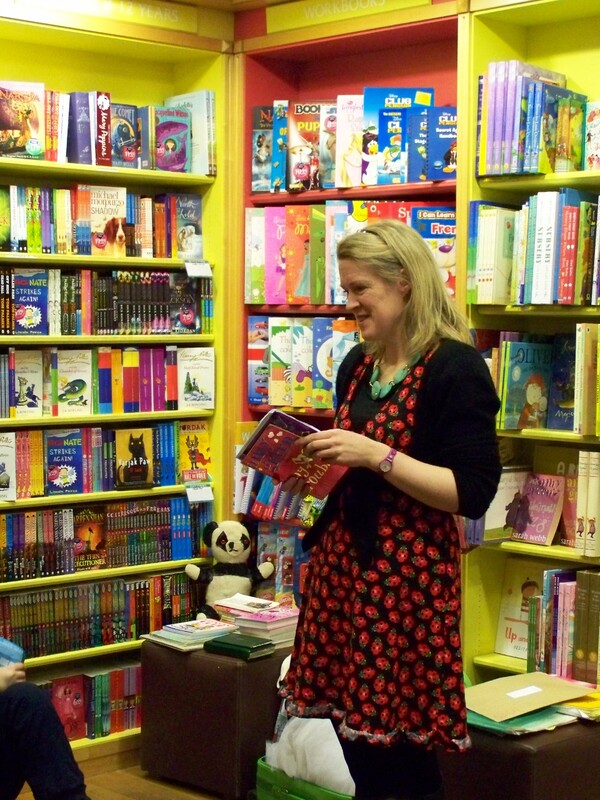 The Bisto Children's Book of the Year Awards shortlist was announced today. And what an impressive list it is. It's a fantastic year for picture books, with five of the ten books listed falling in that genre. With so many of my favourites from the past year listed, I'm glad I'm not responsible for the decision. But at least I'll be over the moon regardless of who wins. The Bisto Awards are a celebration and recognition of excellence in children's literature and illustration. 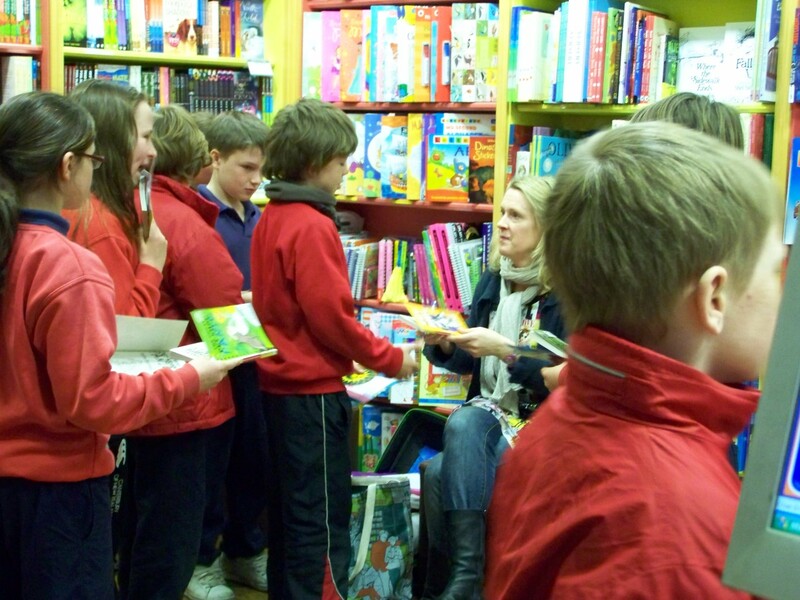 The are open to all children's books published between January 1st and December 31st, written in Irish or English, whose author illustrators were born in Ireland or are Irish residents. The winners of this year's awards will be announced at a ceremony held at the National Library of Ireland on Monday, May 16th. 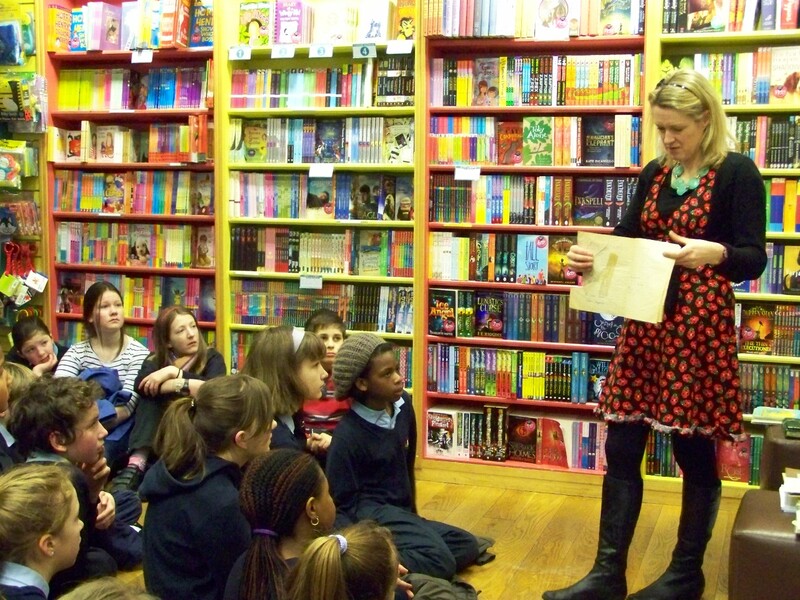 On World Book Day, Thursday, 3rd March, The Guardian launched their new Children's Book Site! Designed and curated by children, the site includes reviews, discussions and interviews managed by an editorial panel of 100 children and teens from all over the world. Have a good look around. There's a book club, aged themed content and panel discussions from some of the most noted children's authors such as Jacqueline Wilson, Michelle Paver, Malorie Blackman... and much more. There's even a monthly podcast to keep you up to date with all the happenings in children's literature, for, about and by the children themselves. Sites such as this are so important and exciting. So have a good look, and keep coming back. 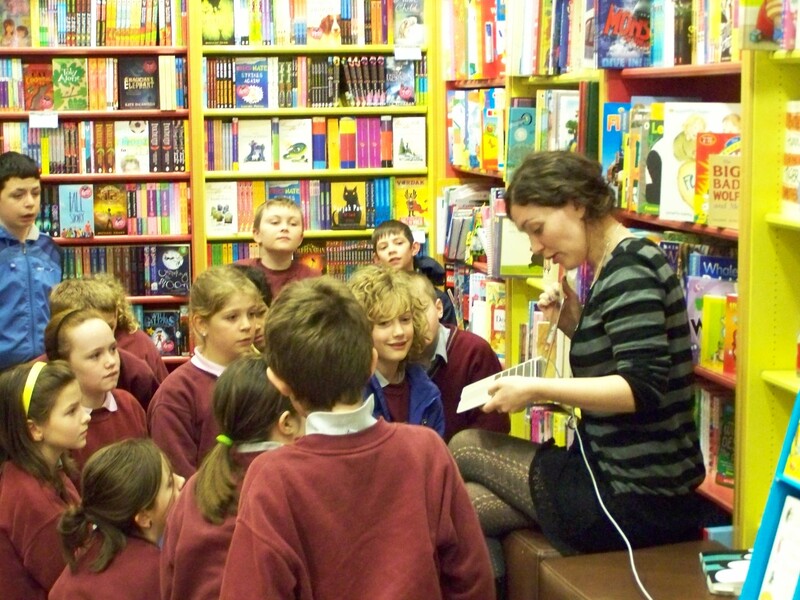 Get in touch and let them know what you think at childrens.books@guardian.co.uk. Authors, storytellers and poets ; Patricia Forde, Ken Bruen, Kevin Whelan, Pete Mullineux, Ger Hanberry, Rab Swannock Fulton, Sarah Webb and Deirdre Sullivan... you were all amazing and I have a lot of photographic evidence to prove it! Add to that group please, Matthew Ziruk and Ronan Quinn, my colleagues and dear friends who stepped in to fill out the empty time slots. Brilliantly, I might add. The 560 school children and their wonderful teachers who make this all worthwhile. I'll see you all next year. 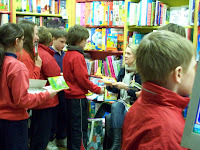 And of course... the 'cast and crew' of Dubray Books, Galway. I couldn't have done this without your support, encouragement and participation. You keep me sane... well... sane-ish. My deepest thanks and appreciation to you all. 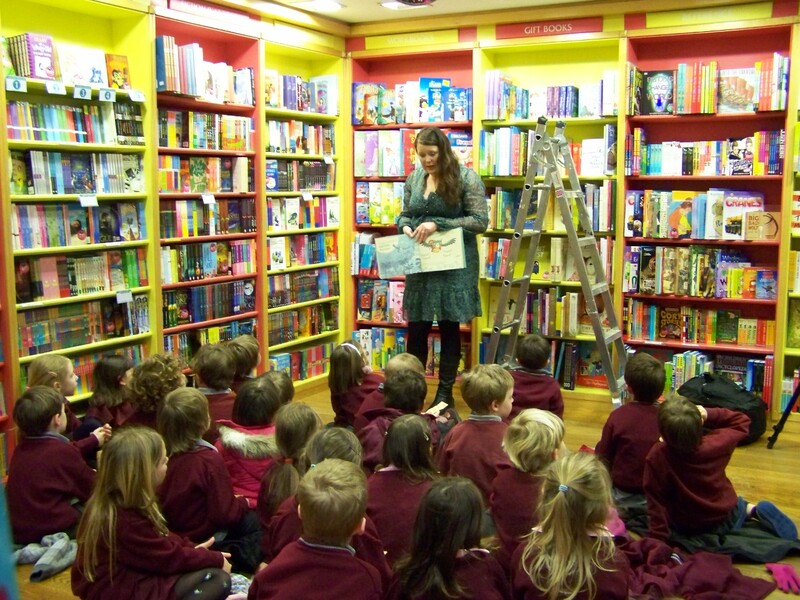 Today was the final day of our World Book Day 2011 extravaganza in the shop, and today we played host to 126 school children attending the 4 event sessions of the day. 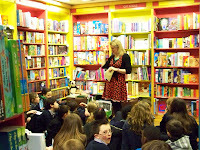 The 5th and 6th classes from Claddagh National School were treated to events featuring the absolutely marvellous Sarah Webb (again), who talked about her life, becoming a writer, 'Amy Green' and various other important bits and pieces that the classes found both hugely informative and entertaining. Thanks, Sarah. You are indeed a star! And as if that weren't enough... last but certainly not least by a long shot.... the two 5th classes from Scoil Iognaid were completely mesmerised by the wonderful, wonderful Deirdre Sullivan. Deirdre gave them the inside story on writing and publishing her first (very successful) book, Prim Improper; what is coming up next and her pet guinea pigs! And a big thanks to you, Deirdre. 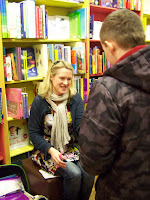 They all loved it... as did we, at Dubray Books. 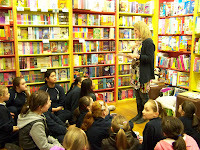 HAPPY WORLD BOOK DAY 2011!!!! 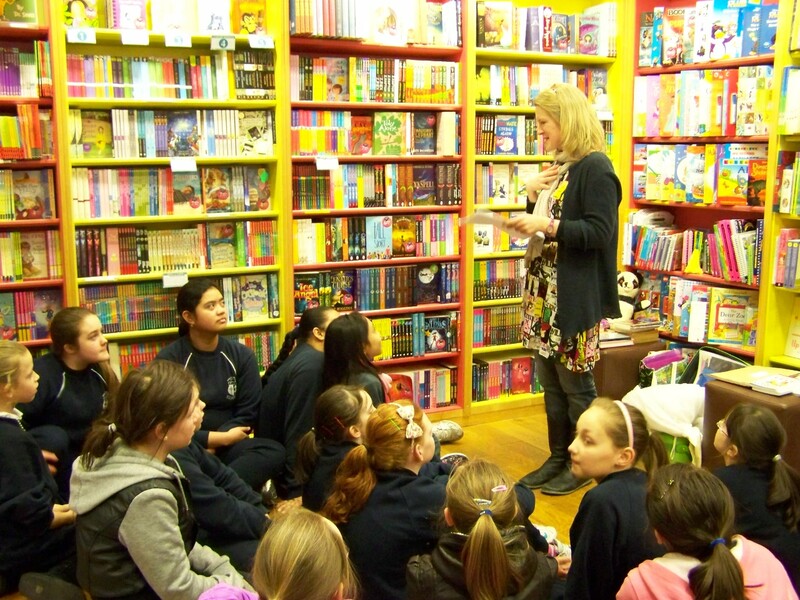 Well, it's Thursday, 3rd March and it is officially World Book Day. 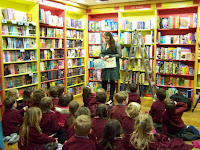 At Dubray Books, Galway, we had a fantastic day playing host to 114 school children and two fantastic guests.... storyteller, author and poet extraordinaire Rab Swannock Fulton who delighted the children of Mercy Primary School, senior infants and 1st and 2nd classes with his tale 'The Bus That Flew To The Moon' and some very silly re-writes, with the aid of the children, of Cinderella and Goldilocks and the 3 Bears. 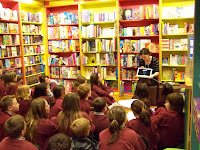 Also, the magnificent Sarah Webb was on hand to talk to the 4th class of Gael Scoil Dehide from Oranmore and the 5th/6th class from Mercy Primary about how she became a writer (and all the things she wanted to do before), the journey to get published and, well, life in general,; all of which sparked some very lively and interesting discussions. So patient and attentive...both Sarah and the children!